This page is written for the benefit of someone familiar with regular expressions but not with the use of regular expressions in Microsoft’s PowerShell. Comparisons will be made with Perl for those familiar with the language, though no knowledge of Perl is required. The focus is not on the syntax of regular expressions per se but rather how to use regular expressions to search for patterns and make replacements. PowerShell is built upon Microsoft’s .NET framework. In regular expressions, as in much else, PowerShell uses the .NET implementation. And .NET in turn essentially uses Perl 5’s regular expression syntax, with a few added features such as named captures. For someone familiar with regular expressions, especially as they are implemented in .NET or Perl, the difficulty in using PowerShell is not in the syntax of regular expressions themselves, but rather in using regular expressions to do work. Because PowerShell is new, detailed documentation and examples are harder to find than for .NET or Perl. in Perl. However, the PowerShell statement returns a new string, leaving $greeting unchanged, while the corresponding Perl statement changes the string $greeting in place. Perl modifies the behavior of the m// and s/// operators by adding characters to indicate such things as case-sensitivity. Both operators, like nearly everything else in Perl, are case-sensitive by default. Appending an ‘i‘ causes them to be case-insensitive. PowerShell’s -match and -replace operators, like nearly everything else in PowerShell, are case-insensitive by default. PowerShell offers the highly recommended option of specifying -imatch and -ireplace to make case-insensitivity explicit. The case-sensitive counterparts are -cmatch and -creplace. After performing a match in Perl, the captured matches are stored in the variables $1, $2, etc. Similarly, after a match PowerShell creates an array $matches with $matches[n] corresponding to Perl’s $n. Perl uses a ‘g‘ option to specify global matches and replacements. The unmodified operator m// returns a Boolean value, but the modified operator m//g returns an array containing all substrings matching the specified pattern. Both the s/// and s///g operators modify their string in place. The unmodified s/// operator replaces only the first match in the string, while the modified s///g operator replaces all occurrences of the pattern. sets @a to the array containing “Cook” and “book”. would convert “Cookbook” into “Cukbuk“. PowerShell’s -creplace and -ireplace work very much like the s///g and s///ig operators in Perl: all matches are replaced. PowerShell version 1.0 does not have a direct analog to Perl’s s/// and s///i operators without the ‘g‘ option. Neither does PowerShell 1.0 have an analog to the m//g option in Perl, though Keith Hill has proposed that Microsoft add a -matches operator in a future release of PowerShell analogous to Perl’s m//g. In order to have more fine control over match and replace operations in PowerShell, one must use the [regex] class rather than the -match and -replace operators. 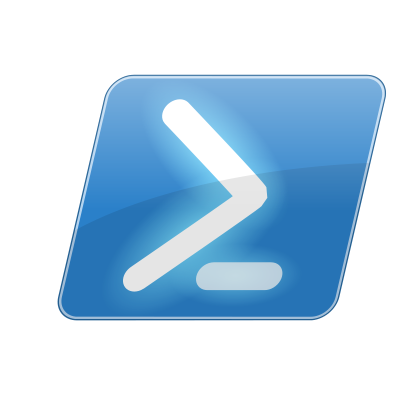 The following example shows how to do a global match in PowerShell. which pipes the [regex]::matches output through the foreach operator % and selects the matched text. will match “Cook” and “book“, whereas without the IgnoreCase option only “book” would match. Notice the single quotes around the replacement pattern. This is to keep PowerShell from interpreting “$1” before passing passing it to the Regex class. We could use double quotes if we also put back ticks in front of the dollar signs to escape them.